A Bachelors in Healthcare Administration degree is intended for individuals wanting to pursue careers dealing with the business operations of medical facilities. The degree prepares students to manage the finances, human resources, and daily operations of hospitals, clinics, nursing homes, and other related organizations. Students receive instruction on the fundamentals of business and the theories and practices applied to healthcare organizations. Students also gain specialized abilities that assist them with organizing employees and resources in healthcare facilities. Course topics may include accounting, public health regulations, healthcare law, healthcare economics, medical ethics, medical records management, quality management, healthcare marketing, information technology in healthcare, and operations management. Some Bachelors in Healthcare Administration programs enable students to concentration on a specific area, such as health management, emergency management, health information systems, and long-term care. Additionally, many programs encourage students to participate in professional organizations to acquire practical learning experiences. Graduates of a Bachelors in Healthcare Administration degree are prepared to pursue various entry-level or advanced positions in many different organizations, like hospitals, community health centers, and nursing homes. Professionals with this degree will likely be in high demand, as the Bureau of Labor Statistics predicts high growth in health administration jobs. Individuals who are interested in finding the best Bachelors in Healthcare Administration degrees should first make sure that any options on their list are accredited at the regional or national level. When schools are accredited, they have undergone extensive evaluation and have been approved to offer high quality educational programs. The ranking of a college or university is also helpful in determining the best healthcare administration program. Many authoritative agencies, like the Princeton Review rank schools based on many different characteristics. Many top schools offer quality Bachelors in Healthcare Administration degrees, whether the student is looking to graduate from a traditional college or university, or from one of the top online Healthcare Administration degree programs. Texas State University, California State University, and Ferris State University are examples of top rated schools that offer Bachelors in Healthcare Administration degrees. The Bachelors in Healthcare Administration program at Texas State University features award-winning faculty, affordable tuition, and full certification from the Association of University Programs in Health Administration. California State University's healthcare administration program demonstrates academic excellence through a rigorous process of external peer assessment. The program includes core courses, lower division courses, and elective courses. Ferris State University offers two formats for the degree, one for students who enter the program as college freshmen or transfer after completing an associate degree and the other for those who seek to complete a bachelor's degree in healthcare administration while enrolled in a healthcare associate degree program. In addition to the campus-based programs, Ashford University offers one of the best online Bachelors in Healthcare Administration programs. There are a variety of Bachelors in Healthcare Administration careers for people who graduate with this degree. Examples include medical and health services managers, healthcare administrators, and administrative medical assistants. Medical and health services managers plan, delegate, and organize medical services. Some manage an entire facility and others oversee specific departments. They typically work to improve the quality of services by managing the finances, organizing records, and communicating with staff. Healthcare administrators are in charge of certain activities of a healthcare organization, like nursing activities, quality assurance, finance, or other areas. They commonly set up policies and procedures and implement them into departments. Administrative medical assistants typically work at the front desk of clinical offices. 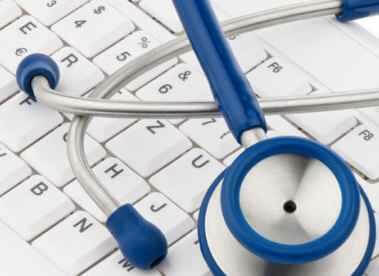 They interact with patients, file medical records, and handle insurance forms. Bachelors in Healthcare Administration salaries vary by location, employer, and experience. The median yearly salary for medical and health services managers is $84,000; healthcare administrators $91,000; and administrative medical assistants $40,000. A Bachelors in Healthcare Administration degree is ideal for those seeking to pursue a lucrative career in the medical field.